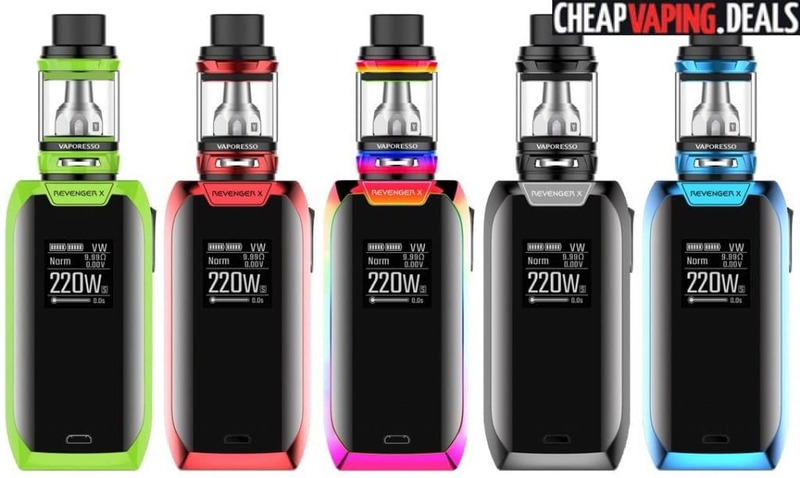 Here’s some discounted prices for the Vaporesso Revenger X Box Mod. 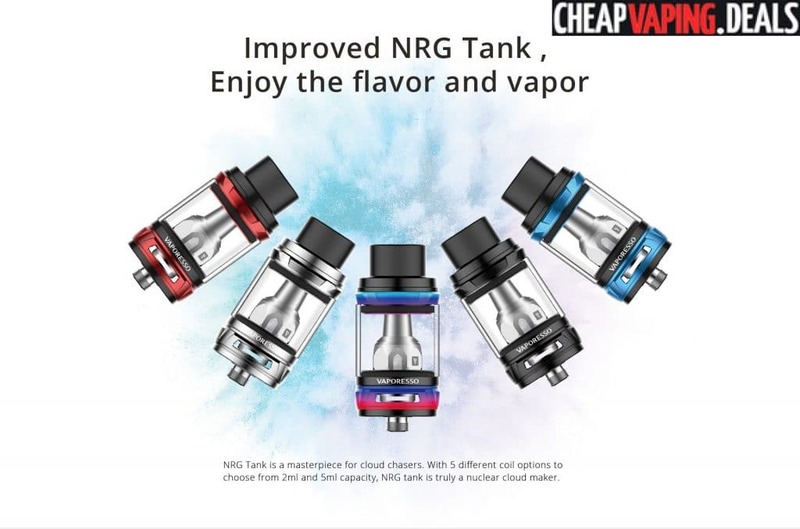 Also available in a Kit with NRG Tank. 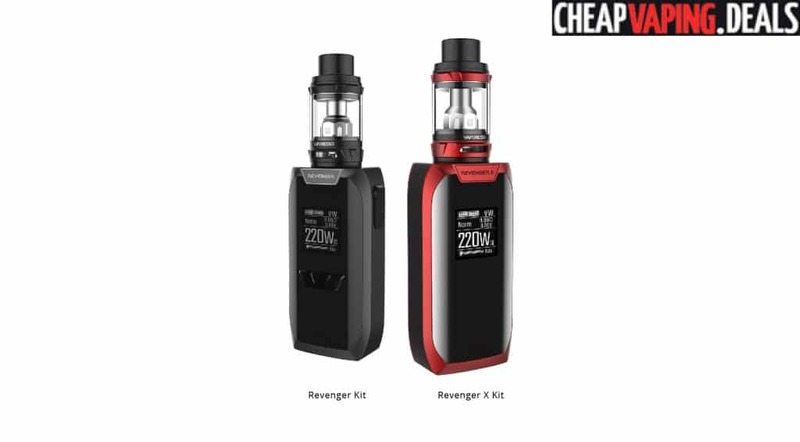 The Revenger X is the upgraded version of Vaporesso’s Revenger Box Mod. This latest device is built with a new Omniboard 2.2 allowing for a more integrated appearance, easier menu navigation thanks to three touch buttons, 16 tier screen brightness adjustment and haptic vibrational feedback with 8 alternate settings. 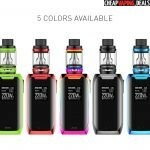 Available colors for this mod include green, red, rainbow, black or blue. 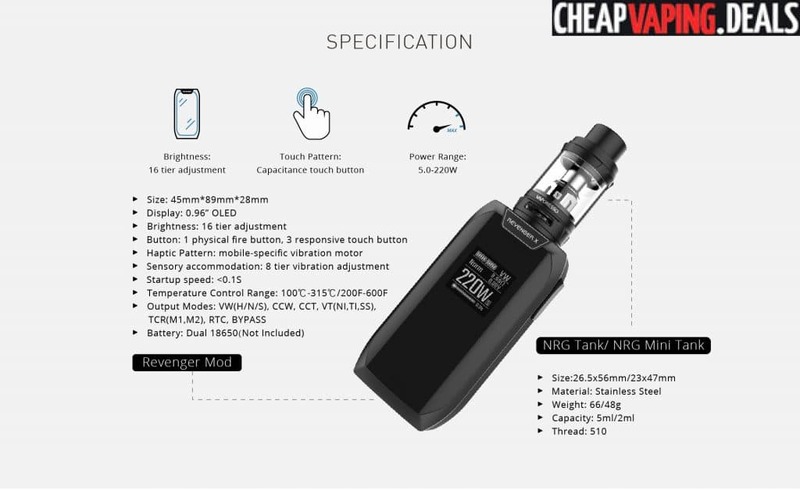 With identical dimensions of 45mm x 89mm x 28mm and the same IML (in mould labeling) over an aluminum alloy chassis, this mod looks about the same as its predecessor. But, the appearance is more integrated due to the latest Omniboard 2.2. This chip board allows for responsive touch control, thus eliminating the previous physical adjustment buttons. Making changes to the menu on the 0.96 inch OLED display is made effortless thanks to a third settings button, with touch control, that allows for accessing the sub menus to easily swap modes or changing the settings. And, built-in haptic response technology, commonly found in smart phones, provides vibrational feedback and features 8 alternate adjustment tiers. The final difference from the previous version is that the screen brightness can be now also be adjusted to 16 different tiers. 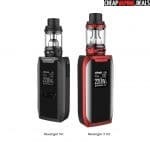 Other than the above, the Revenger X Mod has about the same technical capabilities as its predecessor. The Ominboard 2.2 chip allows for a wide range of operating modes. 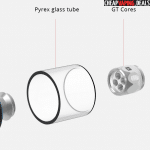 These include RTC (real time clock) mode, power mode, bypass mode for use as a mechanical mod, temperature control (TC) with titanium heating elements, TC with stainless steel, TC with nickel and TCR mode for precise resistance (store settings in two memory slots). 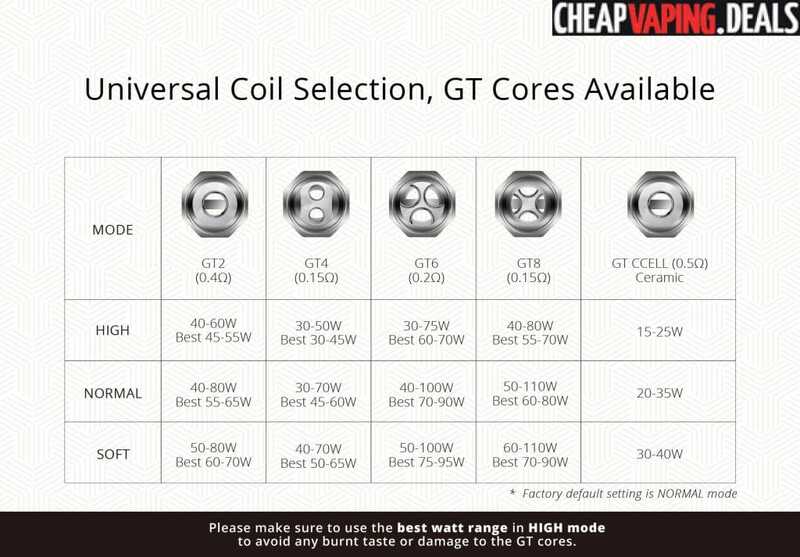 Another versatile capability is to engage in curvature of temperature (CCT) and curvature of wattage (CCW) ramp vaping. 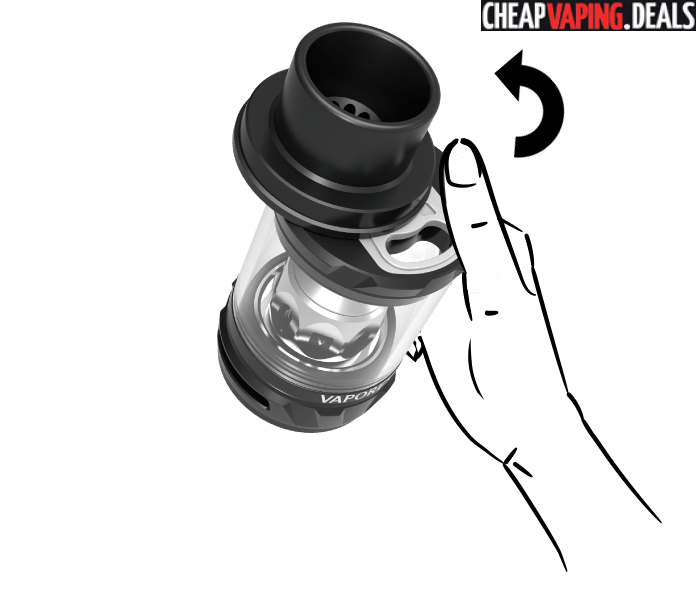 With these, your may let your mod fire with a lower or higher output — for a certain period of time — until you reach your primary wattage or temperature setting. 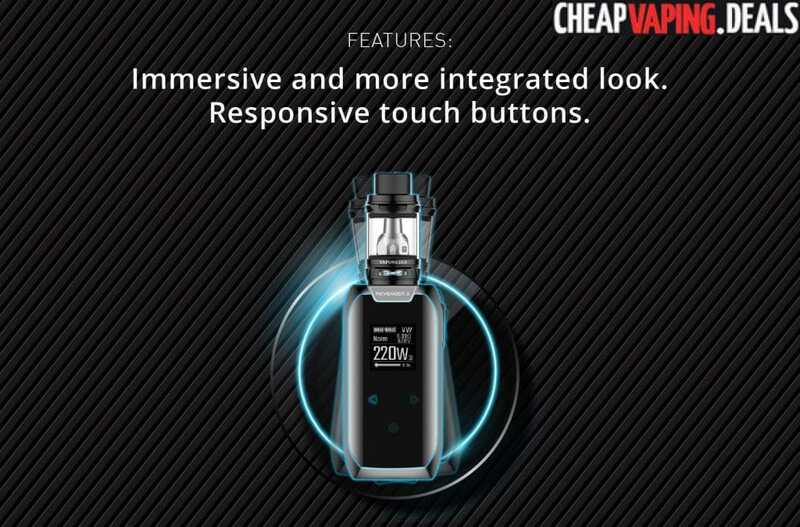 And, this device still fires atomizers down to 0.05 ohm, has a firing response time of less than a tenth of a second and features a maximum output of 220 watts or 600 degrees Fahrenheit. 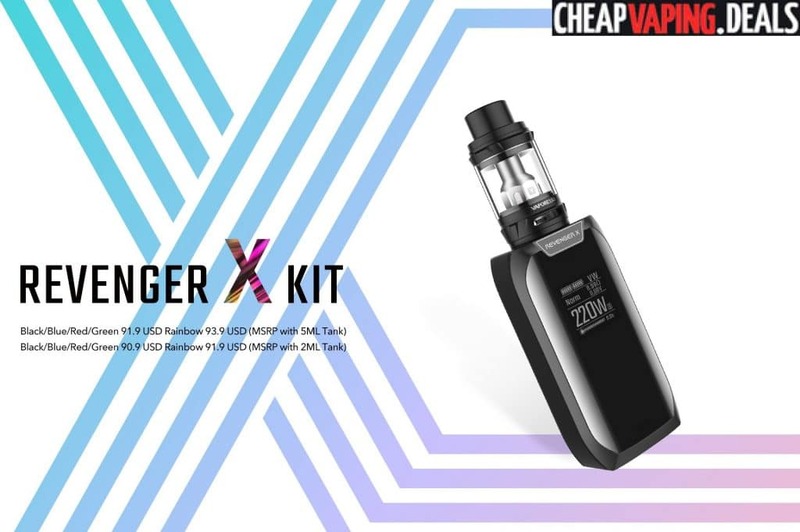 Powered by dual 18650 cells (not included), the Vaporesso Revenger X Box Mod has a lightning fast 2.5A charging system to quickly top off the cells by plugging the device into any USB outlet. 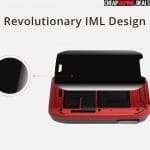 The batteries can also be accessed by removing one of the IML panels to expose the battery bay. 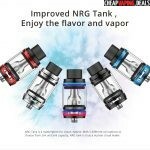 If you get the full kit, you will also receive the NRG tank. 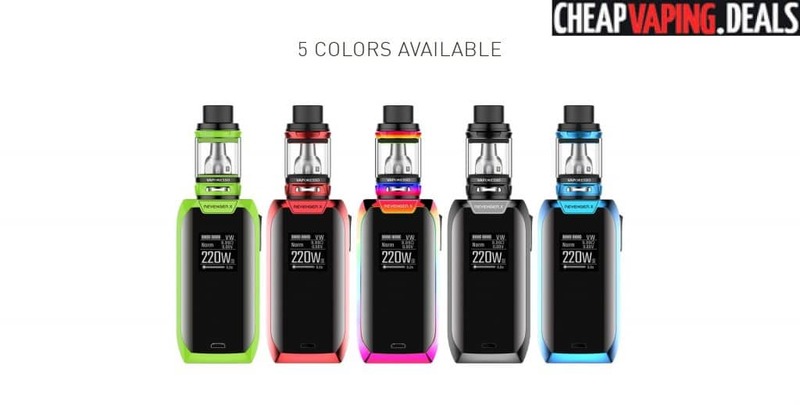 It features 5 different coil options, a 5ml or 2ml (EU) juice capacity and is said to produce massive vapor, although we have not found that to be true. 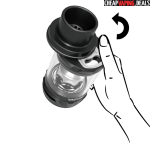 Refilling the tank’s reservoir occurs via an easy top fill system that slides the top cap to uncover a large fill port. 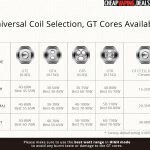 With purchase, you will receive two NRG 0.15ohm coils and there are four more optional cores that you may see in the pictures below. 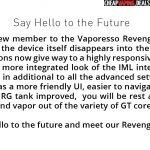 Revenger X Box Mod Features & Specs.